I love baking but I'm all about the one bowl & keeping it simple kinda recipes- less mess and no room for error ! 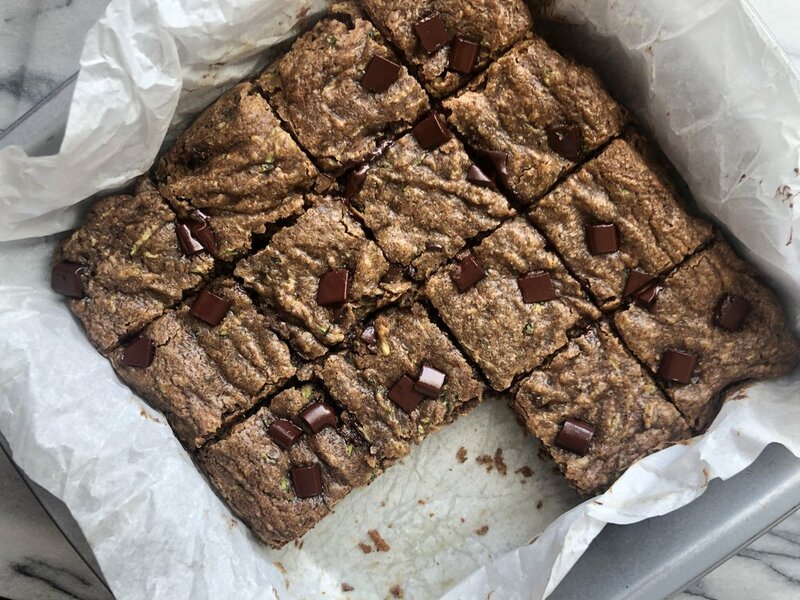 These blondies are exactly that, AND I've snuck in some extra nutrients while you indulge from the zucchini... Enjoy! 3. Place grated zucchini in a towel and squeeze out any excess liquid. Fold zucchini and dark chocolate chips into the mixture.